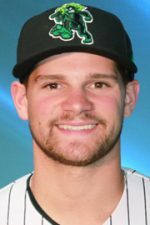 With a little help from his friends, Levi Jordan scooted across home plate twice for all the runs the Eugene Emeralds needed. The Hillsboro Hops struggled and score once, falling 2-1. Both teams lacked the power from the last couple of nights where it seemed that home runs and triples ruled the plate. Instead, pitching ruled the game. Especially as Emerald starter Paul Richan went four innings of a no hit ball while striking out five. If Richan stayed, getting on base was questionable. But, with the cold cruelty of numbers, Richan left the game with a lead of 1-0. When the Hops managed to score a run in the sixth inning, it took the potential win away from a sparkling performance. 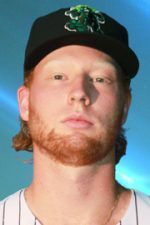 Instead, Stephen Ridings (W, 3-1) relieved in the fifth and earned the win as pitcher of record when the Emeralds scored their second and eventual winning run in the same inning. Mitch Stophel (S, 2) no-hit the Hops for last two innings to earn the save. While on the mound Stophel struck out three batters, half of the Hops he faced. Hillsboro’s lone run came in the sixth with the Hops already down 2-0. Will Gorman doubled to lead off the inning. After a Jorge Perez single, the 32nd round draft choice from 2017 came home on a sacrifice fly by Jake McCarthy. Will Gorman is a midseason addition to the short season A Hops. Since his arrival on 7/28, Gorman has powered two doubles, two triple and four home runs, including a walk off winner in his Hops debut. In addition to his power, the 6’4” right fielder is now leading all active Hops batters with a .310 batting average. However, the Emeralds’ Levi Jordan did the Hops one better. Reaching base twice on a single, Jordan, a 29th round draft choice this year, came home on the bats of his teammates. Luis Vasquez doubled home Levi in the third. DJ Artis’ RBI single scored Levi after a stolen base. Impressively, Jordan scores almost every sixth plate appearance so far this season. The night for the Hops pitching was respectable unless compared to the one run limitation by the Emeralds staff. On almost every other night, the Hops holding the opponent to two runs for the whole game is enough for the win. Luis Frias (L, 0-3) started for the Hops and allowed both Eugene runs for the loss. Brian Christian and newcomer Travis Moths took care of the last three innings allowing only one hit. Moths came to the Hops on Tuesday and debuted tonight. Drafted out of Tennessee Tech, Moths was drafted by the Diamondbacks in the seventh round. The loss cut the Hillsboro Hops Southern Division lead to two games over the Salem-Keizer Volcanoes. 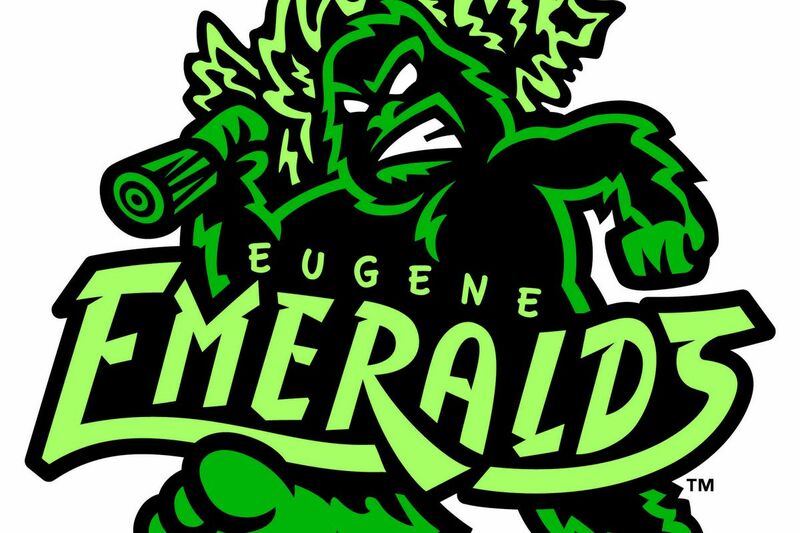 The win helped the Eugene Emeralds gain a game on the visiting team and are now three games behind the Hops. Eugene won the final game of the three game series to avoid the series sweep. The Hops travel north up I-5 to start a three game series against the second place Volcanoes before coming home for a week long homestand. Starting pitchers have not been announced. With another Portland Mavericks night coming up this Monday, August 20th, it is time to look back at the first Maverick night of the season and my quick Maverick history lesson. 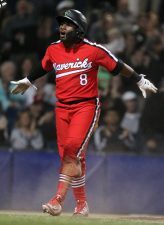 Don’t know who the Mavericks are? Read and find out. If you already know who they are, you will enjoy the memories and still might learn something.